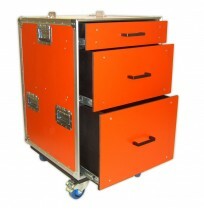 At Best Flight Cases we offer a variety of flight case toolbox and tools storage which, whilst perfect for universal tools, gardener tools, Stanley tools, can also cater for a variety of specifications such as carrying backstage equipment and any other tool accessories. As with all of our star products, Tool Box Cases can be custom specified including line cases and storage cases fit for any purpose. They help with the storage for lining tools. We offer a vast array of custom designs to ensure that your kit is appealing as well as protected at all times and state-of-the-art machinery means that the customisation possibilities are boundless. This wheeled tool box and box storage, available in a selection of colours, is made from the highest quality birch plywood and a laminated exterior to reflect a quality finish, all manufactured in- house for our customers. 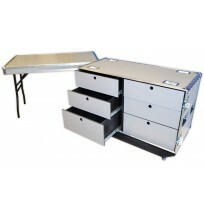 The hinged door design with multiple drawer options will accommodate the depth and length needed whilst stylish handles finish the professional tool box / box tool look. The removable front door with folding legs that fit into the lid enables it to act as a table adding to the case wheeled function. This drawer system is similar to the hinged door design but with the option of keeping drawer free without obstruction from a hinged door. All drawers are fitted with high quality runners and can take up to 40kg. 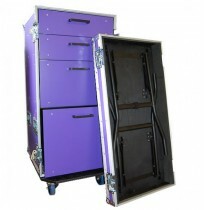 Castors are fitted bellow the case to our custom plywood runners or dolly (depending on design of case required) with at least hinges bracketed and one hinge fitted to support the doors weight if needed (hinged lid option). 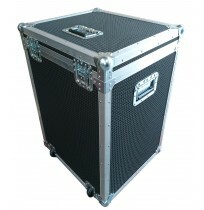 These Stanley toolbox cases/ storage toolbox cases are used in many applications and industries, including audio visual, lighting & sound, motorsport and engineering.